We live in the South Pacific — it is such a fascinating place! It’s the home of the hula and the ukulele, but also much more. From dugongs to breadfruit, from quilting to pearl-diving, there is always something new around the corner. The Rainbow Pals are all about learning and making new friends. Do you know the Rainbow Rules? They are the five things that the Rainbow Pals value the most! 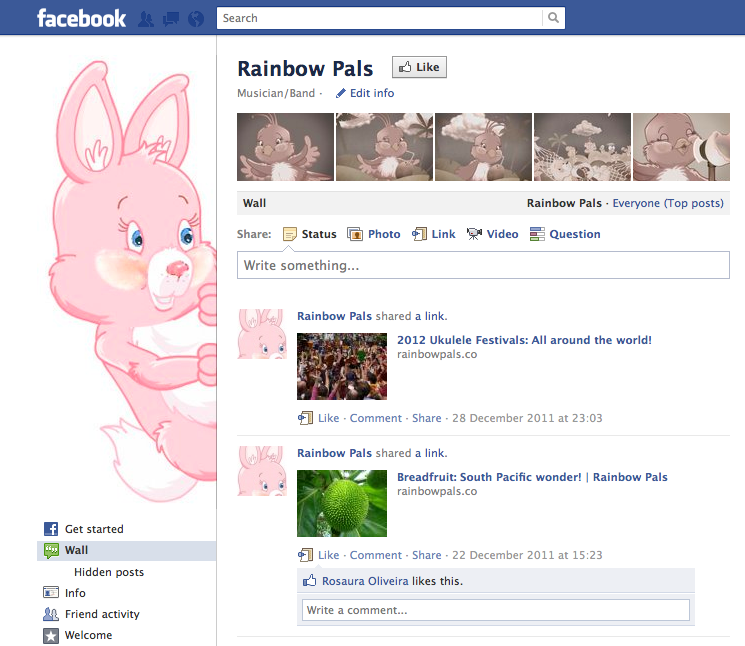 We’ve joined Facebook, because it’s a handy way to keep in touch! Join us on Facebook to read blog posts, see photos and be the first to watch our upcoming episode, The Perfect Wave.